Patty's Utopia: Something Different To Do in Seattle Tonight! Here are a couple of events that you should definitely check out! 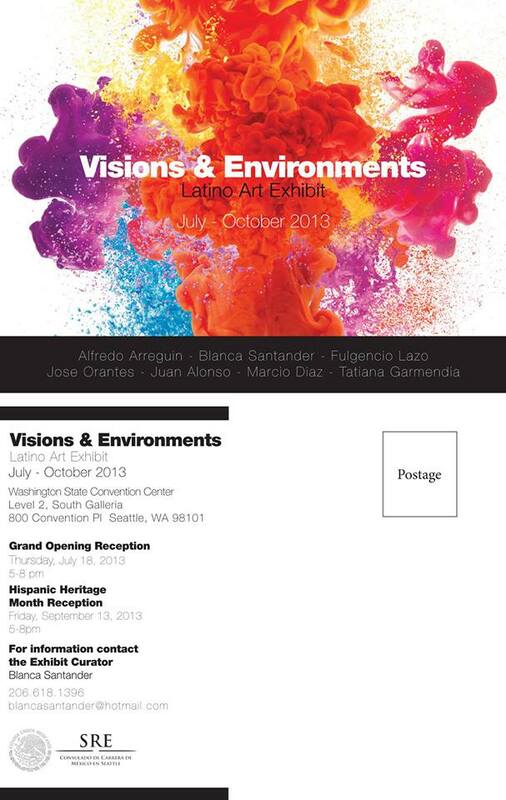 Opening Reception of the "Visions & Environments Latino Art Exhibit" from 5:00 PM to 8:00 PM at the Washington Convention Center. Or you can also join me at the "Seattle Latino Film Festival Presents: A Tropical Night" event as a part of the Nights at the Neptune series.